It’s not every that you get to see two Players scoring two hat-tricks in a single match. 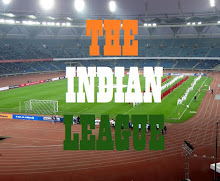 The inaugural day of the Indian Women’s League, however, was different. National Team striker Kamala Devi and Kashmina, her partner upfront scored a hat-trick each as Eastern Sporting Union were off to a convincing start when they defeated Jeppiar Institute of Technology FC 7-1 to register full points. The winners lead 1-0 at the half-time, and if you add the two hat-tricks (in the match) to Sasmita Malik’s hat-trick in the opening match of the Championship which was held earlier in the day, we witnessed three hat-tricks on the opening day itself. The first goal came at the stroke of half-time, Kamala Devi placing her right footer to perfection digging it to the deep right corner. The goal apart, Eastern Sporting Union stayed dominant all throughout the first-half. They pushed back JIT into their own half and quite a number of times, sneaked in past the last line of defence. But with Kashmina and Kamala fumbling inside the box, ESU had to wait. Changing over, JIT, responded with an exceptional counter-attack but ESU survived as the ball hit Goalkeeper Panthoi’s legs and rolled out. But ESU were quick to regroup. With the JIT defence playing a high line of defence, Kamala Devi held back her run for that split second and then had all the time in the world to slot it home. However, JIT reduced the margin the very minute itself – the tireless Sandhya beating the onrushing Panthoi for speed and managing to tap it in into the empty net. Kashmina made it 3-1 in the 71st minute – her delectable keeping Nathiya guessing. Understanding that the opposition’s steam may have run out, ESU became hungry for more. In the 77th minute, Premi Devi, manning the midfield with the legendary Bembem Devi with elan, preferred to leap above all to head it in. Kamala completed hat-trick in the 83rd minute – getting past a couple of defenders and slotting it home. Kashmina scored her second in the 88th minute and then followed it up enabling her to complete her hat-trick in the 90th minute. Kamala was adjudged the Player of the match for her hat-trick and said that “its feels nice to score goals in the opening match itself.” She won Rs. 5000 for her performance. “The win makes us more confident. This will be an intense battle. I need to thank all my team mates for keeping the supply line flowing all throughout,” she concluded.